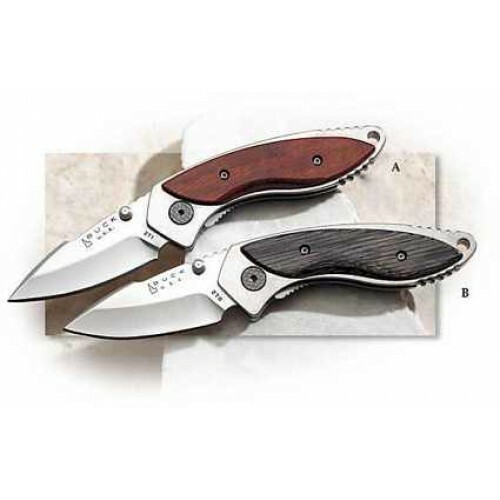 The Buck® Alpha Dorado is a pocket size hunting folder, 30% smaller than the full-size Alpha, with a 2-1/2" spear point blade of either 420HC at 56-58 Rc. or S30V at 59-61 Rc. Both frames are stainless. Over the past year, the larger Alpha folders have been among our most popular. I expect these, at 70% of the size to sell even better. Measures 4" closed and weighs 4.3 oz.